Rose Hudson, President of Louisiana Lottery Corporation, fired a warning that the Alabama Advisory Council on Gambling not to define lottery too narrowly in legislation. Which is expected to be filed before the 2017 legislative session. That advice seemed to resonate with some members of the council, especially Representative Connie Rowe. “It is very interesting to me that the future of the game of lottery operated by the state may evolve to the point where it needs to be electronically generated,” Rowe said. When lottery was taken in account this year, Rowe attached an amendment on the proposed constitutional amendment, that would prohibit the games in any form other than traditional paper bingo. That amendment got disapproved in the Senate, when supporters of expanded gaming at greyhound tracks refused to back the measure. “I don’t personally feel like the people in my district who supported a lottery, supported a lottery in the form of games that’s like a slot machine,”. However, Rose admits that playing lottery solely on paper may not be in the best interest of Alabama assuming it approves a lottery. 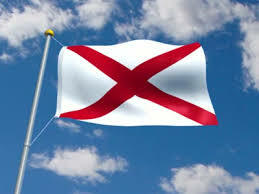 The Council was authorized by Governor Bentley to study gambling issues in Alabama. Only pari-mutuel wagering and charity bingo not played on machines are legal in Alabama.